You will be able to relax and unwind when you use Thai Skunk seeds. One of the parent strains is Skunk #1, making it a huge success. These cannabis seeds are going to help you produce plants with lots of resin at a high THC level. The other parent is Chocolate Thai, and that is where the great smell of Thai Skunk comes from. The taste is lemon and you will pick up that in the scent as well. We encourage you to buy Thai Skunk cannabis seeds from us so you can get the best quality out there to work with. 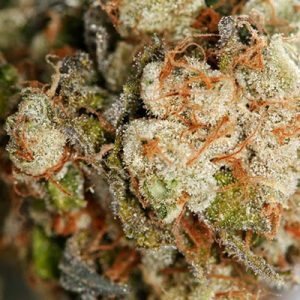 While Thai Skunk marijuana seeds aren’t new, it was introduced in the early 70’s, it continues to become increasingly popular as people all over the world try it. Make sure you get quality seeds and your plants will do well. We only get our Thai Skunk cannabis seeds from top breeders out there and work closely with them to ensure you get the best offered. We actually offer more than 100 strains of cannabis seeds for you to consider. We make it hassle free to buy Thai Skunk or any of our cannabis seeds too. Our seed bank accepts a wide range of payments including credit, debit, cash sent via third party, and Bitcoin. We ship quickly anywhere you may reside, and we always use boring plain packaging. The purpose for this is to ensure there is nothing on the label or the package that would give away you have marijuana seeds inside. We are happy to read the many great customer reviews online too about our cannabis seeds. We have excellent customer service so let us know if you need help ordering Thai Skunk seeds or have any questions about anything else we offer. We want you to be very happy with your purchase from us. We also encourage you to read those reviews to find out why other customers recommend our seed bank. There is much more to Thai Skunk marijuana seeds than just a great smell and taste. It also offers a great high with about 20% THC. It is going to help your mind focus and stay on task. This is great for those with ADD/ADHD or who have too much stress to be able to focus on just one thing at a time. For those with anxiety, Thai Skunk seeds can help you to feel calm. It takes about 20 minutes for the high to start when you use this strain. The mind isn’t all that gains benefits from the use of Thai Skunk cannabis seeds. The body is able to get some great medical benefits. This includes reducing fatigue, increasing energy, and reducing pain. Many of our customers buy Thai Skunk seeds to help them reduce symptoms of chronic headaches including migraines. It can help you to get your mind and body in sync so they work as a team rather than against each other. It is tough when mentally you want to do something but your body won’t cooperate or the other way around. When it comes to growing Thai Skunk seeds, you need to use our grower’s guide. While it isn’t the hardest of cannabis seeds to work with, it isn’t the easiest either. If you follow our information and reach out for support should you need it, you won’t have any problems. Since Thai Skunk grows well in just about any climate as well as both indoors and outdoors, you have many variables in your favor already. 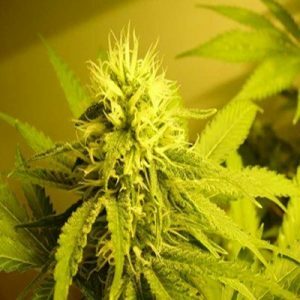 You can expect about 400 grams per square meter from Thai Skunk marijuana seeds. The average height is about 80 cm. If you plant to grow your Thai Skunk cannabis seeds outdoors, you need to plan so they are ready to harvest in either September or October. It takes about 10 weeks for them to be ready for harvest.